Welcome to our video page. Here you will find recordings of our Future of Immunity Conferences and Lectures. Session 1: Leah Houser of Informed Choice Washington gives introduction to the Future of Immunity Conference. March 11, 2017 Lynnwood, Washington. Mary Holland’s presentation on the law and autism, fully Informed medical consent in vaccination, and a Q&A with attorney Alan Phillips. 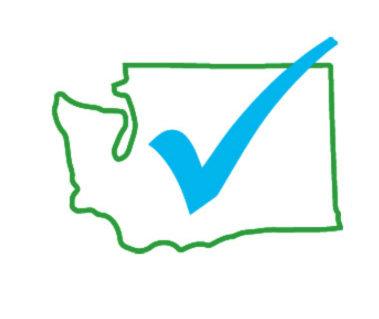 March 11, 2017, The Future of Immunity Conference, Lynnwood, WA. Books by Mary Holland can be found at Skyhorse Publishing. Tetyana Obukhanych’s presentation on the Immune System: antiviral & antibacterial defenses, and environmental factors that suppress or injure the immune system. 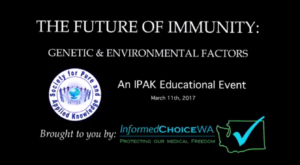 March 11, 2017, The Future of Immunity Conference, Lynnwood, WA.